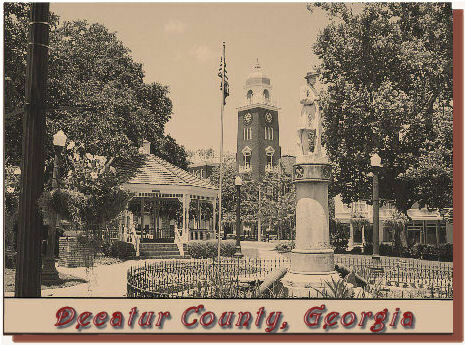 Decatur County, Georgia was formed on December 8, 1823. Land in Early County was distributed through the lottery of 1820. 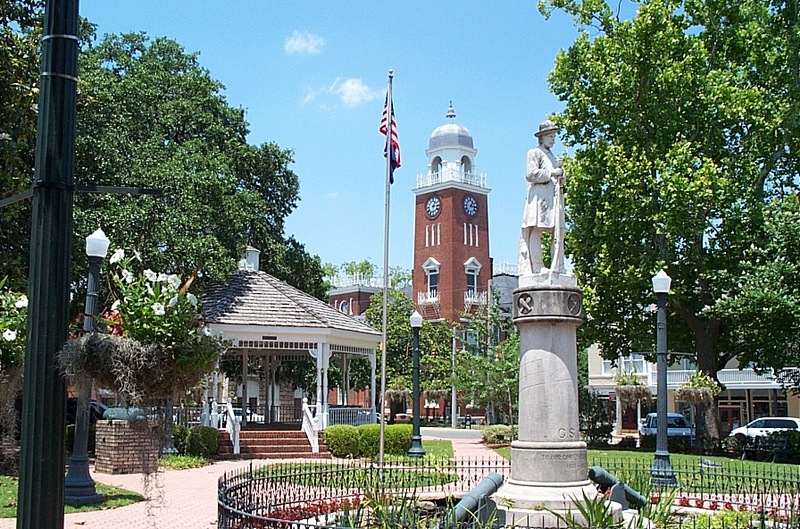 A part of Decatur County was set off to Thomas County in 1825, a part to Grady County 1905, and a part to Seminole County in 1920. The county was named for Stephen Decatur (17791820) of Maryland, an illustrious U.S.Navy commodore, who was killed in a duel by Commodore James Barron. The county seat is Bainbridge. Communities include: Amsterdam, Attapulgus, Bainbridge, Brinson, Climax, Eldorendo, Faceville, Fowlstown, Lynn, and Recovery. Decatur County neighbors are Baker Co., Early Co., Grady Co., Miller Co., Mitchell Co., Seminole Co., and Gadsden Co. FL. Choose from the Items below to begin your research in Decatur County. Thanks to the Many Volunteers who have made this website so rich in resources to date. Most especially to Mr. Eustus Howard Hayes - now deceased. All materials contained on these pages are furnished for the free use of those engaged researching their family origins. Any commercial use,or, other electronic posting of any file or pages without the consent of the host or author of these pages is prohibited. All images used on these pages were obtained from sources permitting free distribution, or generated by the author, and are subject to the same restrictions and permissions. All persons contributing material for posting on these pages does so in recognition of their free, non-commercial distribution, and further, is responsible to assure that no copyright is violated by their submission.